Nutritional reductionism refers to a focus on individual food compounds (e.g., protein, vitamins, antioxidants) as opposed to a holistic approach that focuses on food habits and the relationship between diet and health. Reductionism is common in nutritional research and also in food and supplement production and marketing. A “deficiency mentality” related to disease—i.e., that a disease is caused by a lack of a particular compound—supports a reductionist philosophy. Diseases such as scurvy have been treated successfully with vitamin extracts. Thus scientists and doctors are trained to find the “magic bullet” to cure a disease, an approach that is not successful in treating modern chronic diseases. Another motivation for reductionism in nutrition research is that there are billions of dollars to be made in the supplement industry. At least 5,000 phytonutrients in plants have been discovered so far linked to the possibility of decreasing risk of major chronic diseases. The supplement industry can make money selling individual compounds; whole foods do not offer the same profit potential. 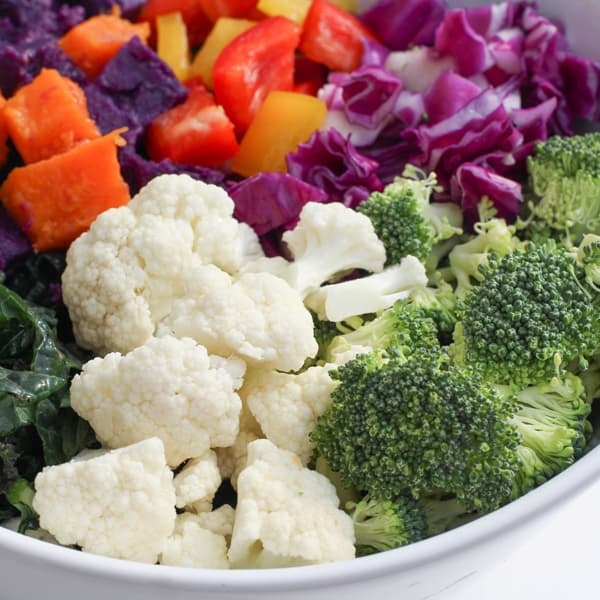 Studies show that eating a variety of whole plant foods increases the positive nutritional benefits above the sum of the individual plant components. Pills cannot mimic the effects of plant food nutrient synergies. Further, components in plant foods extracted out individually may lose their bioavailability or behave differently than when naturally contained in the plants. In over 100 studies led by T. Colin Campbell, the synergistic anti-cancer and antioxidant effects of fruits, vegetables, and beans consumed together are not duplicated with the consumption of isolated pill extracts from the same foods. Fiber extracts do not provide the same heart disease prevention benefits of fiber-containing plant foods. Vitamin C pills have not been shown to be effective against stroke, but citrus fruits have. Beta Carotene extracts have been shown to worsen, not improve lung cancer, while beta carotene containing plant foods have been shown to be protective. Curcumin extracted from the spice turmeric is not as effective an anti-cancer and anti-inflammation agent as the whole spice. Broccoli sprouts have been effective targeting cancer stem cells, while broccoli sprouts extract has not. Resistant starch extracts and enriched foods have not shown the same anti-colon cancer properties as whole resistant-starch-containing plant foods. Vitamin E pills are not effective against asthma, but plant foods containing vitamin E may be.